Look, I’m old. Esports are just impenetrable to me. And I know I’m not alone. Okay, I readily admit that my ignorance of esports isn’t just an age thing. Many people my age (and even older) are glued tight to their computer monitors (and, on Friday nights, TBS) watching their favorite esportsters esportsin’ their way to esports glory. It’s true, though, that if you aren’t already into esports as a thing, or don’t know much about the games they’re playing at these events, it’s pretty hard to keep up or follow along. I’ve covered a few esports tournaments for my job, and after an afternoon of immersing myself in that culture and closely watching matches on site I can suss out what’s happening and what folks are trying to do, but not everybody has that luxury (or opportunity). If the esports industry hopes to truly break out on a mainstream level comparable to the biggest traditional sports, the fan base will have to be educated on what’s happening and why. And that’s what TBS’s Eleague hopes to do with its new seven-part series, Esports 101: CS:GO. This hour-long show, which launches on Friday, Aug. 24, at 11 PM ET/PT, tracks the action and stories of the recent Eleague CS:GO Premier 2018, where eight professional teams faced off against each in Counter-Strike: Global Offensive to see who was the best. 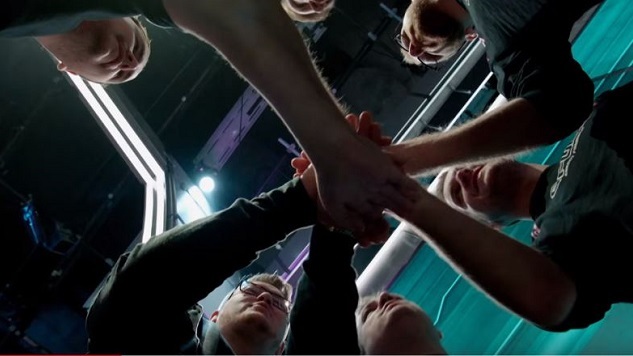 The first episode promises “an in-depth overview of Counter-Strike’s history, terminology and strategic elements,” according to Eleague’s press release. That information is crucial to understanding these matches, which, to the uninitiated (including, uh, me, sometimes), can literally make no sense whatsoever. Two former top CS:GO players, Jason “Moses” O’Toole and Sean “SeanGares” Gares, will be on hand to deliver commentary and help explain everything, along with host Alex “Machine” Richardson. This is a smart initiative by TBS, and honestly probably should’ve been done before Eleague first premiered back in 2016. In fact, they should probably begin every season with an explainer like this, for every game they run at Eleague, to help ease newcomers into the fold. If you want to catch a short preview of what to expect when Esports 101 premieres on Friday, here’s a video from Eleague.